With major cities running short on affordable housing, local residents have adopted unique measures to air their grievances. In New York, the Brooklyn Anti-Gentrification Network (BAN) held a sign outside a real estate summit in Brooklyn last year, asking car-driving attendees to honk if the rent was “too high.” Earlier this year, students at the University of Cape Town in South Africa erected an iron shack on campus to decry the lack of housing available to poor students around the city. For people living in Munich, the solution was simple but proactive. Leerstand089, a citizen group in the city, listed all vacant parking spaces to shame the authorities into building more affordable housing for residents. 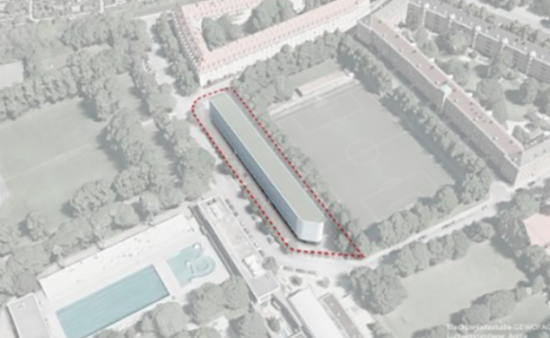 The plan worked, with a 120-unit apartment complex now slated to replace a parking lot once used at the 1972 Munich Olympics. The area is surrounded by large gardens with trees, a modest soccer field, and a swimming pool. To prevent the rent prices from rising, the apartments will be economically built to keep them within Germany’s rent stabilization threshold. 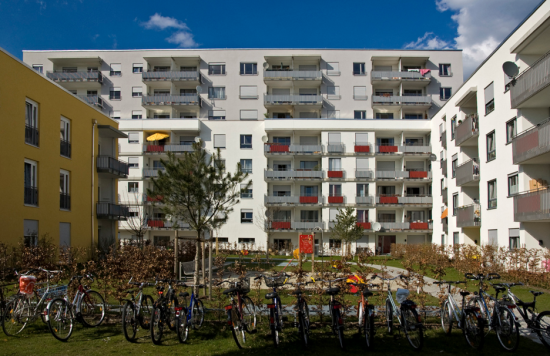 Leerstand089, which stands for vacancy and Munich’s area code, has notched up several other successes with a number of buildings being earmarked as housing sites. The most recent is a 5,700-square-foot building now designated as a public housing cooperative that will contain 11 rental apartments. The group’s basic action plan encourages everyday citizens to call out neglected buildings. If the building is being left unattended, they will report it to the city so it can be put to better use.